Work for Google App Engine? Learning about Google App Engine? "Great serverless abstraction for app deployment"
Google App Engine makes it very easy to deploy an application with minimal manifest configuration and a simple CLI command. It "just works" and your app starts running very quickly. The ability to sort through and redeploy past deployments as well as the logging provided for your deployed application is very nice as well. App Engine does not make it very clear/easy to deploy multiple applications to the same service, or whether or not that is even best practice. It's definitely possible, but it doesn't feel as clean as it should be. My intuition was that App Engine was restricted to a single Application per GC project, but that is clearly not the case. Make sure that its abstraction level suits the needs of your Application. We use App Engine for some of our smaller web services that don't get used very frequently but did quite seem to fit the serverless function model. "The Google App Engine provides a great opportunity for App Developers to enhance their features"
The engine uses the latest features and java interface for powering the program or the developer while providing the required ram requests so that the application can function with fewer issues. This is especially critical in the Beta phase. There weren't many issues the company and myself conquered during the test phase. The main issues lied with the developer options which were not as advanced as we thought, as well as, the debugging tools which gave errors a few times during testing. We send crash reports to resolve these issues. Although my company is currently not in use of the Google App Engine in the Cloud, the feature surely enhances the capabilities of the program by creating the instant availability for any user in the company. The Google App Engine provides great tools to a company looking for a simple yet powerful tool to enhance their application U/I or program. It provides enough assistance to resolve most major issues that may occur during the testing phase. Backed by Googles power-house support system, the program can satisfy the needs of the developers and users. While not having to manage your systems under the hood is a huge asset, there's limitations to what technology and control you have. Logging has left pieces to be desired, and many internal errors do not have complete enough information to quickly resolve outages and downtime. Even with the most expedient of processes, having to open an external ticket to resolve time sensitive issues can be fatal. Evaluate your use cases. Product is great for getting applications out quickly in an accessible format. Reduction of accessibility to developers may end up restricting developers in the long run. Internal analytics, real time data tracking, collection and ingestion of external data sources. API services for retrieval of data. Well If you truly need power and elastic processing, don't think twice... Appengine is the truly elastic platform that securely fits your needs. Well I've implemented Mission Critical Applications that spike up in seconds from 100 users/second to 50,000-60,000 users per second, like presidential and congressional LATAM elections or cuasi-realtime tax paying balance calculations for every taxpayer in our country. App Engine flex is very powerful in orchestrating some data pipelines and handling some regular ML jobs. It allows you to install custom packages and scale the application up and down. Since resources are managed by Google, we don't have to worry about the deployment and backend infrastructure, which allows us to focus on modeling work. Since there are a lot of different use cases for App Engine flex, Google needs to do a better job in documentation. This helps users to know what is out there and make the connection in between App Engine and real business use cases. Also, its packages like gunicorn and pip3 is sometimes not up-to-date. We handle a lot of our daily ML jobs in app engine, which is self contained and managed by Google. We also connect other GCP products using GAE, for example, Cloud ML, SQL, Big Query and Storage Bucket. "Have used it once "
I have used google cloud once for my test project a java web app. It has a good integration with the source code editor was able to quickly get my project running hassle free . I have used google cloud once for my test project a java web app. It has a good integration with the source code editor was able to quickly get my project running hassle free . I havent used much of this feature .But definitely want to use more and check what features it can provide compared against other providers. "Good for quick start up time on a new webapp"
The management of servers so we don't have to is the primary reason we use App Engine. The ease of set up means you can launch a new webapp from scratch fairly quickly without the overhead of needing to understand anything about servers and setting up scaling groups. It also handles spikes in traffics for you which a big plus if you may have irregular traffic from sources. It's also linked to db/datastore services that are decent and easy to set up and link. The free quota is also great for testing an idea website without needing to spend much, if at all. Google seems to have abandoned this project at some point but left it alive to dwindle on meaning, the any issues and bugs you find won't get fixed. Support help for it is minimal and not very helpful. Documentation is old and lacking. Costs can also add up if you start getting more and more traffic particularly with reads and writes. When the servers go down, which they do, there's nothing you can do but wait because it's all handled by App Engine. There are newer technologies out there that you might want to research and explore with better support and features. We use Google App Engine as the main host for our e-commerce website. It's great for handling the server up times and auto scaling. "The Ease if Google "
Easy one spot stop for all the tools and storage that I need. I can sign on to multiple computers or even at home and retrieve the same information. I dislike that docs and sheets doesn't always have as many specialized and fine tuning options especially when it comes to formatting. From work to family to home to friends. Google Apps can connect all your needs. I enjoy sharing a calendar with my work and family to increase the ease of communication. Shared files for ease of communication. "E-Commerce Merchant who moved business set up from AWS to GAE"
* No Head Ache or person required to monitor site even on Heavy traffic. * Sudden downtime and Task Queue Failures. * Tickets raising & resolve - very slow and so many questions before checking details what we shared already. * More Library and jars. "Marketing and Sales Professional "
"Easy to use but Expensive"
Its easy to get started and you do not need to worry about it ever going down. I also love the versioning aspect. App Engine Flex is far too expensive. The microservice approach is brilliant but it shouldn't cost my 4x than running all my services on a managed VM. Moving my monolith to a microservice and breaking speciality apps into containers. for new apps, created "in-house" this works very well BUT even today (8-April-2019) our organization still buys/deploys off-the-shelf products. these software manufacturers requests VMs... lame yes, but a reality. "Google App Engine is a best of breed hybrid PaaS+IaaS... for the right use cases"
Make sure to compare and contrast your PaaS/IaaS requirements with alternatives like Google Compute Engine, Amazon AWS, Pivotal CloudFoundary. ** DISCLAIMER ** I haven't used nor recommended GAE with my current nor any of my previous employers. My employer does use Google Compute Services for dev/test environments, but not GAE specifically. While I've used Google App Engine quite a bit over the last seven years, I've used it exclusively as a tool for low risk projects - simple web apps, prototyping, and low risk micro-services used as stopgaps. It's very easy to work with, and the ecosystem is growing rapidly. In the last few years in fact, it's improved immensely, is starting to become a real contender for larger and more critical projects. "I have been developing systems in the last 4 years that use GAE as the Back End"
It is very efficient, fast and cheap. GAE is a cool tool box that allow us to design amazing architecture that was almost impossible before. I really like to use the GAE emulators, it allows the developer to use his machine to run and test the app in development. It is very complex and has lots of tools and environments, there are a slow learning curve.. Each product is simple to use, but integrate them is not so easy and the products need a better documentation, examples and tutorials. The admin console is a little messy and hard to use. I need to receive thousands of small messages per second from a mobile app, then I need to apply some security algorithms and consolidate the data. "Good PaaS for a Web Application in Python"
Google's use of webapp2 makes it very easy to develop in Python. The console is great and the native GoogleAppLauncher tool and development server are very easy to use. Google provides good documentation for the platform. App Engine is nicely integrated to Google Apps so we can run company domain email and other features. Google changes the native libraries and deprecates features regularly. While the pricing is fair, it's sometimes hard to understand the exact usage breakdown. We're so embedded in App Engine specifics it may become difficult to move to another services like AWS. Google's support is very limited for a small company like us. We rely heavily on StackOverflow to handle our support. Be prepared to learn a lot of App Engine specific knowledge like GQL Google Query Language and other things like their TaskQueue. We built a web application using the App Engine that leverages the High Replication Datastore. The PaaS model is great for us to pay as we go without much server overhead for down periods. "Developing and deploying applications to production without having to worry about the platform"
I've been developing for and deploying to App Engine for 3 years now, developing a wide range of bespoke applications for clients in the Automative and Food industries. App Engine ecosystem is really comprehensive and works very well with Google APIs and third party RESTful services. The best about App Engine is the ability to rapidly develop an application and deploy it to production in no time. There is no need for complex infrastructure/platform tuning and installation, simply develop locally and deploy. What I also like about it is the ability to autoscale your applications to deal with high demand using a simple Admin interface, you can also define deadlines for servicing requests. Data persistence is also straightforward with the NoSQL datastore, which is ideal for applications that are not transactional heavy, for applications that are transactional heavy it's easy to integrate with Cloud SQL (cloud MySQL). App Engine also offers a wide range of services from identity management to integration with other Google APIs. Notably Cloud Endpoint is an easy to use API that enables the integration of Mobile applications, such that developers can easily develop an App Engine app as a Mobile backend. App Engine runs a customised Java virtual machine so some of the Java builtin functions are not available. For example file access, which means to manipulate or store files you need to use Cloud Storage rather than trying to process them on the server, but as soon as developers are acquainted with what is not possible, development becomes easy. Heavyweight Java stack might not run or be really slow. For example Spring Framework is really slow, whilst it's not possible to use Hibernate framework. You simply need to check if the library you want to use does play well with App Engine or not. But once you know what runs you can build a stack that works well. For example App Engine apps work really well with Google Guice for dependency injection (lightweight Spring replacement). Also Objectify library works really well as an Object Relational Mapping (ORM or strictly speaking Object to Entity mapping) to use with App Engine. You need to spend time to tune your application to reach an optimal setup for both cost and response times, for example how many instances you are going to have idle waiting for requests. What instance types (CPU/RAM) you are going to use, and if they are sufficient or not. Do your research and shortlist a technology stack that works well with App Engine. Spend time tuning the performance parameters after deployment to reach a good balance between cost and performance. Optimise your architecture using the services (task queues, etc...) provided to reduce the number of instance hours your app consumes. If you set a daily budget limit ensure this is not going to impact the service availability. Avoid trying to re-invent the wheel and write your own code, check the docs first, there might already be a service to achieve your goal. The clients I've been developing for are not primarily technology companies, hence they don't have/don't want any infrastructure/platform overhead. App Engine cloud based PaaS (Platform as a Service) eliminates the need for any upfront investment on platforms or infrastructure. The ability to scale up and down based on demand also eliminates the need to spend on downsizing or upsizing. For customers on Google Apps it's a no brainer to use App Engine for running enterprise applications which almost eliminates the cost of integration with mail, calendar and identity management backends. The RESTful service-oriented nature of App Engine also makes it really easy and cost effective to integrate with other enterprise systems. "Focus on the product, not on the infrastructure"
"App Engine is scalable and easy to get started with." I like not having to manage resources, specifically with App Engine flex. It reduces devops work and allows me to focus on writing code. I think the process of debugging issues when trying to deploy an app is difficult. Stackdriver logs aren't always helpful, and sometimes in the console the error it throws lacks context. Delivering real time recommendations to customers online. writing join queries is a pain which are often required in implementing business logic. some of the very basic requirements like knowing the row count in a table is another big pain as there is no way to run a select(*) type queries. This ends up in writing a lot of boilerplate code and often error prone. the building index thing also gets annoying sometimes. i would definitely recommend it as its great in scalability. No matter how small you are and how big you aspire to be. Google app engine can take care of it. Another great aspect is the company's brand reputation. You will not end up in wasting your entire investment just because company ran out of business etc. On pricing being a non profit, the google was very generous to us and gave good rates. "Time Tested, No Hassle Application Server"
The simplicity of using the platform and managed scalability are standard now. I love the fact that my appengine application which I started 5 years ago is still running now. The pace of new features into this product hasn't been impressive. "Pretty good all around cloud solution, with a few quirks due to the nature of cloud computing"
GAE, and now Google Cloud Compute makes it really easy to get a cloud-based system up and running fast. The support for multiple programming languages is great, and the documentation for what you can do in the framework is good. Storing data in a NoSQL format can sometimes result in complexities during design, but the benefits of this data storage format allow for very quick queries, which can be quite useful, depending on your requirements. GAE has a few general quirks, mostly to do with data storage (NoSQL-esque), and with timeouts on running tasks. This can quite heavily influence how you design a solution. The admin interface can sometimes make it quite difficult to perform queries on your data, again this is partially due to how data is stored and organised. I can't help but feel that Google could do some work on this to improve user understanding as well as making the process of querying data easier. I would strongly advise that if you are looking into using GAE, you should research it's limitations first as this may either affect your choice of platform, or the design you build! I use GAE to aggregate music event data from multiple event APIs on a regular schedule. My GAE instance provides a REST API to present this data to an iPhone application. "A solid cloud function offering with years of reliable service"
For multiple years a periodic function has run in this environment. Across multiple major and minor version updates it hasn't missed a beat. Some of the resourcing requirements and implications are a little opaque. It has been set and forget. For a service with a simple database backend and remote web api access it has been solid and reliable. "You can test any service and developer platform you want"
Can't across the GFW. I must use vpn to acces it. running the native env apps are not supported, though with the introduction with flexi its still a complicated process..
auto scaling and reducing the infrastructure maintenance teams.. I love the semplicity to use and the beautiful UI compared to the competitor. With Google App Engine we power our business APIs and our Website. "Develop scalable software solutions and let Google manage them for you"
AppEngine makes the development of scalable software extremely easy to get started with. Even if massive scalability isn't required, it still is easy to create, deploy and manage cloud based systems without having the overhead of managing and running your own servers. Google run the AppEngine platform in such a way that all you need to do is write the core software - you can concentrate on solving your problems, and then when you deploy the application Google takes care of running, monitoring, and scaling the software to meet user demand. There's no real overhead in managing the day-to-day operations. Google offer Cloud Datastore which is closely integrated with AppEngine. It is a NoSQL datastore which is very simple to use and provides great performance even across large datasets. AppEngine provides a choice of language runtimes, including Python and Java. It is incredibly easy to get up and running with a Python program in AppEngine. There are some strange 'quirks' to using AppEngine that we have discovered where it doesn't behave as one might expect it to. Some of the scaling behaviours in particular have caused concern for us, and we have had to work around these in the past. This is the downside of a PaaS offering, in that while Google have produced an excellent system that works in 90% of cases, if you do find yourself needing something that is just outside of the tunable parameters then there's nothing you can do about it. The datastore is expensive, as it costs $0.18 per GB to store your data in there, which is 9x the cost of the rest of Googles storage options. On top of that, much of your data is likely to need indexing (for performance reasons) and so this cost adds up quite quickly. Programming the datastore is perhaps one of the trickiest aspects of AppEngine development, as it has certain operational limitations that will prove frustrating sometimes, especially if you've mainly SQL experience. The python runtime environment seems to be the easiest to develop for, so if you have a choice of implementation languages this is the one I'd recommend. We have provided many cloud-based bespoke software development projects to clients using AppEngine. Once deployed these systems have required virtually no operational maintenance and their availability has been excellent. "Amazing. Built numerous scalable and quick to market enterprise applications." I enjoyed the ease to get setup and running. I thought the SDK was easy to use and convenient to deploy. I like how easy it was to version releases (and roll back). They have an amazing cron service and really easy to use application logs. I was a little concerned a little bit about pricing, and not knowing how much something would cost. I am not a huge fan of gorm. But I do appreciate its simplicity versus using something like (django-nonrel). We had a lot of issues with aggregations and we ended up having to write our own custom solution to pipe data to a relational database. We then performed a bunch of calculations and pumped the data back . We were solving small business marketing campaigns. We were able to provide an enterprise message delivery system. The benefits we realized was instant scalability and stable hosting. The cost is reasonable if you have a large enough user base. "The best way to manage your server logic"
It's so easy to start a server application, forgetting about maintenance or scaling, and it's free if you don't have so much traffic. The number of supported languages is limited, the communication only supports http requests, and the logging system is not as easy as local files. We use it for a microservices arquitecture, allowing us to easily deploy and communicate between each service. I initially found the layout hard to find what I was looking for (i was used to the old layout). Once I learned how to find things it makes more sense now. please do not hesitate to try the free portions of this platform. I highly recommend Google App Engine to beginners especially who would very quickly want to setup their applications. We have used Google App Engine to complement Google Apps by using it to replace legacy desktop software with applications in the cloud that can be accessed from computers, mobiles and tablets. I like how easy is to deploy a full app in gae, you have security, access control, multiversion and do not to worry about scale and ops. The best is the free tier so you can innovate at not cost. "Crowd sourcing high traffic mobile product!" Google Cloud Endpoint makes it very easy to integrate mobile apps to the server REST APIs. Task queues make it very easy to execute long asynchronous tasks without having to handle queues, it's push queue and the platform handles the execution including scaling up as needed. Mem-Cached is very useful for fast data access. Some restrictions on what to use in Java such as threading and reflection. Sometimes very difficult or impossible to include some third party libraries. Difficult to debug in local environment using Datastore data. Pricing of datastore transactions and storage sometimes affects coding style while trying to optimize on cost. Google App Engine helped us a lot in the first 3 years of our startup, if I can suggest something that would be to take care of vendor lock-in as much as possible. This will make it easier and cheaper to migrate if needed. You can start with it at a low-cost high quality hosting solution, once your business becomes bigger, you could move to a more cost effective IaaS solution, Google provides Compute Engine or AWS is a good alternative. The business uses crowd sourcing from mobile devices. The real benefit I see for us as a startup was being able to do quick deployments, multiple a day, while saving the cost of an administration team. As our product grew and we needed more processing power, app-engine (PaaS) seemed not to stand as the best choice anymore, and a IaaS hosting solution made more sense. "Powerful platform, if you're OK with doing things their way"
The automatic scaling works great. You get a lot of services out of the box, and it's fairly easy to get things up and running quickly. You're pretty much locked in to the Google ecosystem. If it works for you, then great. If it doesn't, you're kinda stuck. It's often hard to predict how some of the scaling will affect your bill. Hosting a large-scale web application. The site is solid, and usually fairly fast. I have used google app engine as an intern for building/hosting a web application for our company . It has a very intuitive Administrative console UI where one could easily manage all their applications. It has all the cloud data store/application settings that can be modified as per user's design. It supports memcaching too. The git repository that is included helped me to maintain code well. The Api's provided are very easy to understand and implement. It offers about 10 GB free trial storage which I found was very advantageous to students. On the whole, it is one place where one could do everything needed for development/maintenance of their web based applications. The number of options available for storage sometimes confuses users in selection. The debugger console attached could be improved to point out issues to be more appropriate. Google App Engine provides lots of built-in software packages like Rails, LAMP, Drupal, Apache Hadoop etc that can be readily used for setting up/deploying their applications. I highly recommend Google App Engine to beginners especially who would very quickly want to setup their applications. We needed to overcome server failures with lots of users simultaneously accessing UIs, and the high replication provided by Google App Engine was very much helpful. We also realized that out code repository could be easily maintained in the Google App Engine itself instead of going to a third party repository. "The best tool for web apps & APIs, from prototypes to production with millions of users"
• Infrastructure and services that scale without having to maintain any server, provision I/O operations or spend crazy money on security. • Generous free tier than is more than enough to run prototypes for free. • Documentation can be sometimes either hard to find, imprecise or simply incorrect. • The quality of the GAE support has been decreasing over the past 10 months. Getting technical answers and solutions takes time, support engineers clearly don't have the same level which can waste a lot of time. • Connect and discover millions of singers in the world through our mobile apps. • Serve from 30 to 500 http requests / second, depending on the time of the day. • Quickly handle 10x traffic spikes when we send reengagement push notifications. • Build our own video plaform using the most advanced features of App Engine. • Develop our business and product and be able to control our engineering and infrastructure costs. "Developing services with google app engine"
"Granddad Serverless Environment Still Worth a Look"
App Engine has allowed our small team to execute at a way higher level than we could building and relying on our own infrastructure. Older sandboxed environments exhibit the worst of vendor lock scenarios. Price gets quite high past a certain scale. "Web app flexibility without hardware headaches"
The fact that the App Engine scales automatically on the backend without the need for you to maintain the hardware. It automatically ramps up and also will ramp down when the number of requests are reduced. Exceeding daily free quotas. This is something that needs to be tracked by DevOps or the developer. In most cases you should enable billing so that if you do exceed any daily free quotas, the application continues to run. 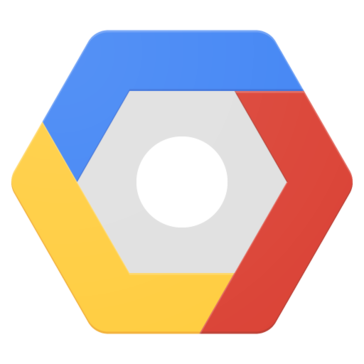 Use other Google Cloud Platform products alongside App Engine such as Cloud Storage or Cloud SQL. Hosting web applications for businesses without having to know the expected web traffic beforehand. One of the benefits that we realized is that you can use the Google Authentication system to authenticate your users. "Good for rapid prototyping but consider other alternatives first"
It's sandboxed and comes with very well set of documentation. This makes it extremely simple for rapid prototyping and deploying. You don't have to worry about any infrastructure setup. Just make your web services and host them easily on cloud with just one click. It's initial load time is very high. For staging server the first request has a cold start which is not a good user experience for in house users. The production server has this same problem as well (not as bad as development server). The overall performance is slow as compared to amazon beanstalk. It does not scale well once you reach for more than few thousand users. Not very effective for mobile web services. Might be beneficial for hosting background process. Make backend web service for my mobile app. The only benefit of using GAE is rapid prototyping. Love the functionality to pull from API. "Great solution if you're willing to adjust and commit to their approaches"
It provides a great platform to build a greenfield project in a nicely consistent, highly cost effective and scalable environment. The operational concerns are mostly automatically addressed and support for development is also provided which makes everything straightforward end to end. If you have existing code or other constraints which do not map cleanly onto the App Engine way of doing things then it may be a non-starter or uphill battle throughout. If you have preconceived notions or governing forces affecting how you want things to work then you're likely better off looking elsewhere. I've used the product for several different consulting projects where it provided a quick way to generate basic Web applications. The readily available use of various pieces of Google infrastructure and other services combined with the straightforward persistence into the datastore significantly reduced integration time. "Got Started Implementing Core Behaviour Quickly"
GAE's Google-powered data storage is powerful, fast, and allows developers to quickly get started with persistence for their applications. Most importantly, its quirks and constraints are well-documented. Furthermore, GAE provides a fairly streamlined way to develop and deploy your application. Best practices are defined so that you can have accurate expectations as to how your app will behave and perform, for example asynchronous scheduled tasks. Some types of basic mechanisms that developers may be accustomed to using are not available in GAE. Most significant of these is perhaps the inability to write to a file system. While the datastore deals with most persistence needs, not having the option to dump things in files may mean that once-common tasks have to be rethought. Research its constraints thoroughly before starting. Some of the absent features could be a deal-breaker for your domain, and you want to know this before you've invested your time and money. The domain in question was an online auction system with fast response times. My basic need was the ability to quickly move forward with developing demonstrable behaviour, and GAE's plethora of features out-of-the-box suited this perfectly. "Good to start for simple project"
I like mostly the ease to start new project. It takes few minutes to create and upload a project. You can see the sample page right away online. The other thing I love is the free quota you have, so some projects that doesn't have traffic can stay online and you don't need to pay for it. I don't like the limitations the platform has. You can't create Threads for example. The problem is that once you start using their custom implementation of storage, Tasks (instead of Threads) etc. You are stuck with the platform and the migration will be difficult. Just be sure you are aware of the limitations of the platform before you start. One of the problems solved is that I don't need to support a server that holds some small websites that needs to be online, but doesn't need to have big infrastructure. "Easy to use & scale but you soon hit a wall"
Make sure that there is no need to move away in the future. Try to use more traditional services where needed like Cloud SQL instead of datastore and abstract as much as possible. I was running one of the largest GAE apps (bugsense), scaling at 7000 rps, more than 400M mobile devices were posting data to my app. The auto scaling was a life savior as well as the schema-less datastore. The thing I dislike is that I frequently deploy my apps to tomcat server and GAE forces me to use its structure so the code is not 100% reusable which is a sad thing. I also noticed that there is significant latency (at least in the free tier). I use it to power my personal micro services. It is effective when latency is not an issue. Google covers everything and all their products integrate well with one another. Since I have multiple accounts I occasionally run into situations in which I have to log out of all my accounts in order to do something on one of them. if you into development this is your thing. Easy to create and maintain your app. I would recommend this to beginner and experts. its robust and user friendly. its language friendly means you can develop in language of your choice even scripting. From java to python. There is no maintenance cost. Few things Google app engine needs to improve. 1) Developers have read-only access to the filesystem on App Engine. 2) App Engine can only execute code called from an HTTP request (except for scheduled background tasks). 3)ava applications may only use a subset (The JRE Class White List) of the classes from the JRE standard edition. I deal with network deployment. So have to seldom write scripts that help with automation. "Review is outdated (used in 2011) - Great platform, but unfortunately with lots of limitations"
I understood the many limitations around the NoSQL, big table model. But I disliked how poorly documented the solutions to common query patterns were. Not everyone is a NoSQL expert and having to trawl through many forum topics to find answers on "so how do I do this" was not helpful. This may have changed since 2011. * We monitor all Google App Engine reviews to prevent fraudulent reviews and keep review quality high. We do not post reviews by company employees or direct competitors. Validated reviews require the user to submit a screenshot of the product containing their user ID, in order to verify a user is an actual user of the product. Hi there! Are you looking to implement a solution like Google App Engine?